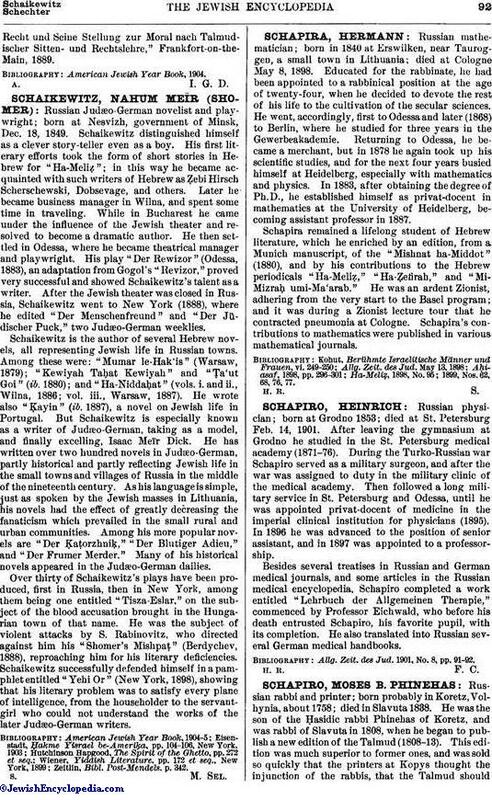 American rabbi; born May 4, 1862, at Bausk, Courland, Russia; descendant of Mordecai Jaffe, author of the "Lebush." He was educated at the gymnasium of Libau, Courland, at the University of Berlin (Ph. D.), and at the Rabbinical Seminary, Berlin. Since Jan. 1, 1893, Schaffer has been rabbi of Shearith Israel congregation of Baltimore, Md. He is president of the Baltimore Zion Association (since 1895) and honorary vice-president of the American Federation of Zionists, and he was twice a delegate to the Zionist Congress at Basel. Schaffer is the author of "DasRecht und Seine Stellung zur Moral nach Talmudischer, Sitten- und Rechtslehre," Frankfort-on-the-Main, 1889. 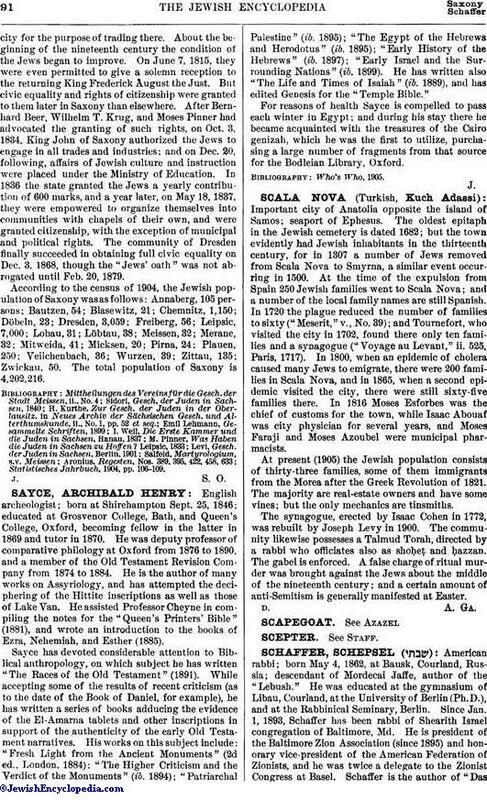 American Jewish Year Book, 1904.